today we will ask you to do something different. 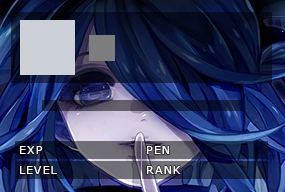 I guess you know about our separated ranking system on our Official Discord with its unique designs and commands. For every message you type you'll gain experience and eventually level up. 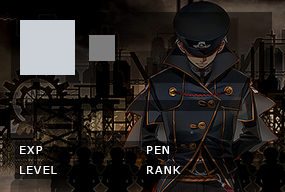 Each level up contains a little PEN reward that can be exchanged into individual ranking skins out of the sortiment. "Why am I saying this? ", maybe you have already guessed what your task will be before reading the rest. 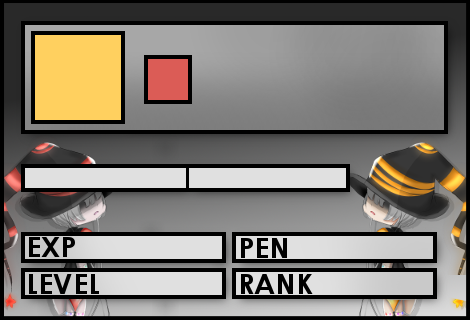 This time we ask you to create skins for the ranking system! Note: these skins had all the same measures that were needed for testing reasons. You can draw them in sizes you see fit for your idea. Each skin is available for 3 different skin types. 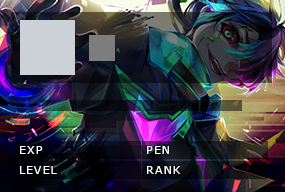 For instance when a player has accumulated enough experience to level up, for using the H!rank command or for using the H!profile command on one of the Discord channels. Each skin type got it's own design and a specific number of information to display. Your task will be to draw a new, not yet available, skin for all three skin types or to draw new unique level icons. You can decide between drawing the skins or the icons. 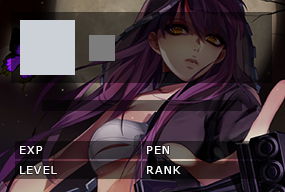 - Placeholder for the reached level has to be drawn on the skin (see examples above). - Draw a congratulations message for the level up. - Enough space for the bot to write the name of the user who leveled up. 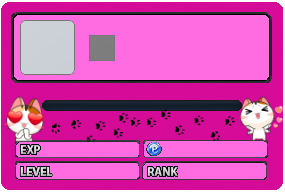 - Size for the rank template is variable (may be slightly bigger than the Level UP skin). - Placeholder for the user's avatar has to be drawn on the skin (see examples above). 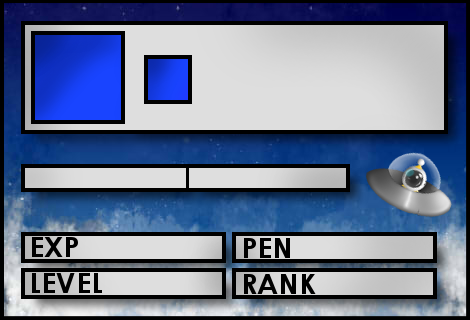 - Placeholder for a picture of the current level (see examples above). - Placeholder for the experience bar. - Enough space for the bot to write the current level of a user. - Enough space for the bot to write the name of a user. - Size for the profile template is variable (eventually biggest) Placeholder for the user's avatar has to be drawn on the skin (see examples above). - Four fields that can show the owning currency, server rank, level and experience. You're free to place them on your profile template how you see fit. - Enough space for the bot to write the username. - 80 different Level Icons to one theme need to be drawn. - Each Icon has to be at least 50px x 50px big to scaled down, if necessary. If you choose to submit the three skin types, please write the color that the experience bar and the text font should have in RGB values. For extravagant experience bar designs, please additionally submit the bar itself (the bar that is being drawn on the placeholder). Extravagant means if the experience bar contains multiple colors. If you don't mention any color for the bar and text, I will decide one that I see fit on my own! RGB values can be looked up on paint. There's a chance that all skins get implemented so don't hold back! If a skin won't be possible to add to my discord bot, I will contact you in this thread and point out the issues or difficulties not listed above. In this case, I won't hold back! To have a feeling on how the end product could look like, join our discord and level up / test our commands! TOP 3 submissions will receive 30 G's Capsules of choice. Additionally to the prizes, the winners will directly receive the winning skins into their Discord inventory! All valid participants will receive 1x G's DJ Rescue Gun Capsule. The event will go from the 01.09.2018 until 20.09.2018 23:59 (UTC+2). 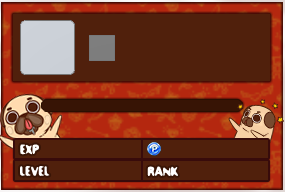 Draw either skin types for Level UP, Rank or Profile or Level Icons. Recommended are submissions in PNG format. Other formats will get accepted too. meh just caps this time? Have fun guys. I won't participate since school started again. can you do something about it?? It is not like it requires tons of work to be honest and you don't even have to draw anything. Your task will be to draw a new, not yet available, skin for all three skin types or to draw new unique level icons. You can decide between drawing the skins or the icons. I am pretty sure you can use some existing official S4 art in it and the boxes can be done even on paint. It requires some skill to make it look good but still. Bro what is your problem? What do you call it then? licking? thanks to asfor league designers for the images. The post was edited 5 times, last by Empress: cringe ( Sep 18th 2018 ). But look what, this is a public forum, if you don't want to be answered by another just make a PM. Me neither, i'm just saying we're here to share our opinions and points of view. Let me introduce you the winner: Empress! Hello, I've got a question, is it necessary to include all the level icons? 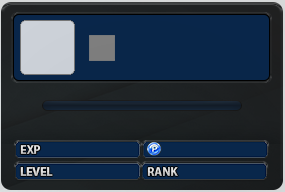 It is pretty much listed in the requirement if you are going to do level icons. Kinda forgot that, thank you. hello, as long as there are 10 attachments available I suppose we can post post a image of all the level icons, isn't it? The post was edited 1 time, last by Hella_Hell ( Sep 18th 2018 ). Hope you like it, even tho it's boring .-.